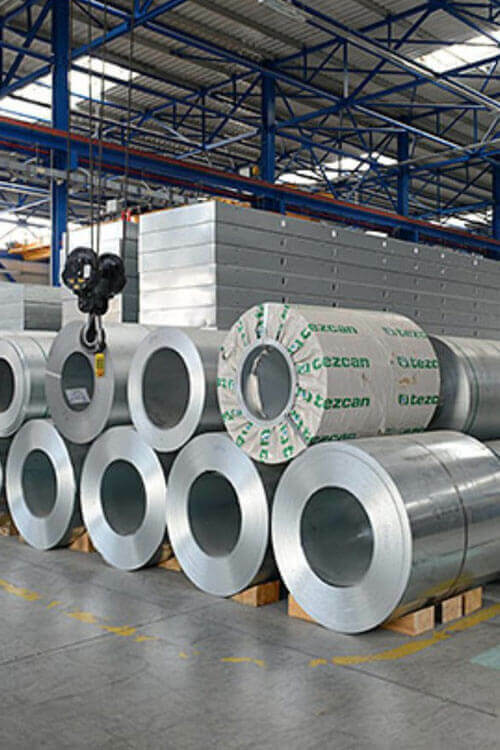 Stainless Steel 304 Cold Rolled Coil | SS 304 Cold Rolled Coils | 304 Steel Cold Rolled Coil | 304 Cold Rolled Stainless Steel Coil | Werkstoff Nr 1.4301 Cold Rolled SS Coils | UNS S30400 Cold Rolled Steel Coils | Stainless Steel 304 Cold Rolling Steel Coil | Stainless Steel SUS 304 Cold Rolled Coils | Austenitic Stainless Steel 304 Cold Rolled Coils | 304 Steel Cold Rolled Coils | Alloy 304 Cold Rolled Coils | AISI 304 Cold Rolled Steel Coils | Stainless Steel 304 Cold Rolled Shim Coil | 304 Cold Rolled Steel Coil | Stainless Steel 304 CR Coils | 304 Stainless Steel Cold Rolled Coils | Stainless Steel 304 Cold Rolled Coil Exporters | 304 Cold Rolling Steel Coil | 304 SS CR Coil | 304 Cold Rolled SS Coils | Steel 304 CR Coil | SS 304 CR Coil | SS 304 Cold Rolled Coil Supplier in Mumbai | Alloy 304 Cold Rolling Coil Exporter in India. Savoy piping INC is the prominent Supplier and exporter of SS 304 CR Coil, provides a large number of features like high tensile strength, reliable, flawless finish, durability and many other. You can buy 304 CR Steel Coil from here at impressively low costs. These coils are very useful for functioning in welding applications. These coils are the unique alloys, which have high strength, low carbon content and excellent abrasion resistance property. Following coils are used in auto trimming, electrical enclosures, exhaust manifolds, moldings or many other applications. These coils have excellent forming property that is easy for machining at low expenses. It offers great resistivity to corrosions, widely use for moist environments. Specifications UNS S30400 is the material grade of coils. ASTM A240, ASME SA 240 is the standard of coils consider while Suppling. These are Supplied by the hot rolling process, and heat treatment is done in Stockist coils for removing supliers errors and for hardening. Coils are finished with the hairline, matte finish, BA finish, brush, sandblasting, met with the plastic coating or many others. Coils are available in the strip, flat, roll, sheets or custom dimensions, and according to international standards. Stainless Steel 304 CR Coil are Supplied by qualified raw materials, and advance machines so these get precise dimension and surface finish. Savoy piping INC offers these coils at most reasonable prices. Final coils go through with strict quality assurance test for distributing only quality products. Coils are packed in the form of rolling bundles, so you get the only quality product at your doorstep. Specialist of Stainless Steel 304 Cold Rolled Coil, Standard Size Stainless Steel 304 Cold Rolled Coil Supplier in Mumbai, Stainless Steel 304 Finish Coils, SS 304 Polish Coils, High Quality SS 304 CR Coil, Cold Rolled Stainless Steel 304 Shim Coils, 304 SS Cold Rolled Steel Coil Dealer in Mumbai, Stainless Steel 304 CR Steel Coil Supplier, 304 Stainless Steel CR Coil Distributor in Mumbai, 304 Austenitic Stainless Steel Cold Rolled Coil Stockist in Mumbai, Stainless Steel 304 Cold Rolling Coil in Mumbai india.